A woman in dark sunglasses steps out of the car in front of a swanky hotel in the city, and the concierge rushes to her aid – wheelchair in tow. She’s a foreigner, and had undergone an hours-long medical procedure at a nearby hospital. Not cleared by doctors to fly back to her country yet, she requires a few days of proper rest and relaxation at a hotel here. As the number of medical tourists to Malaysia continues to grow, there’s a need for more hotels to provide quality care to complement the treatment. The Malaysia Healthcare Travel Council (MHTC) says accommoda­tion is a key component in the healthcare travel ecosystem. It wants to see hotels take on a more proactive role in uplifting Malaysia’s medical tourism industry. “It is important to make healthcare travellers feel as comfortable as possible through their journey. 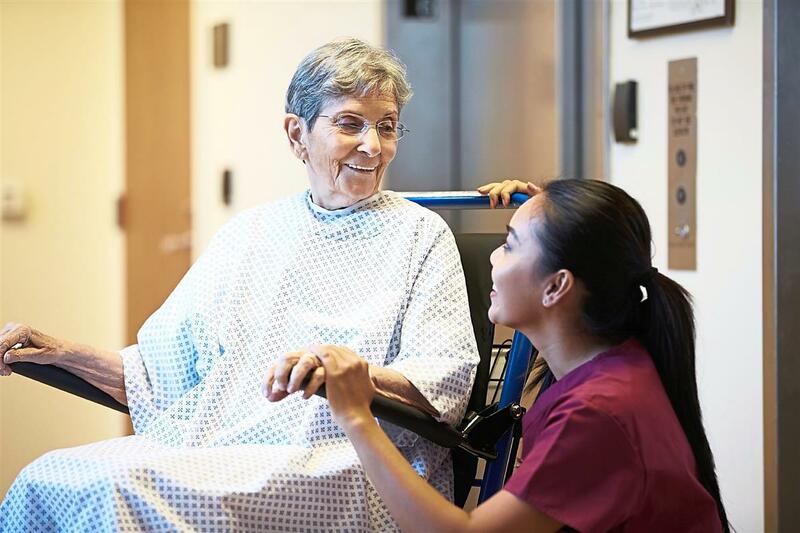 As these travellers go through different types of medical procedures, from general health screenings to operations, they must be able to rest well in good quality accommodations,” the council notes. 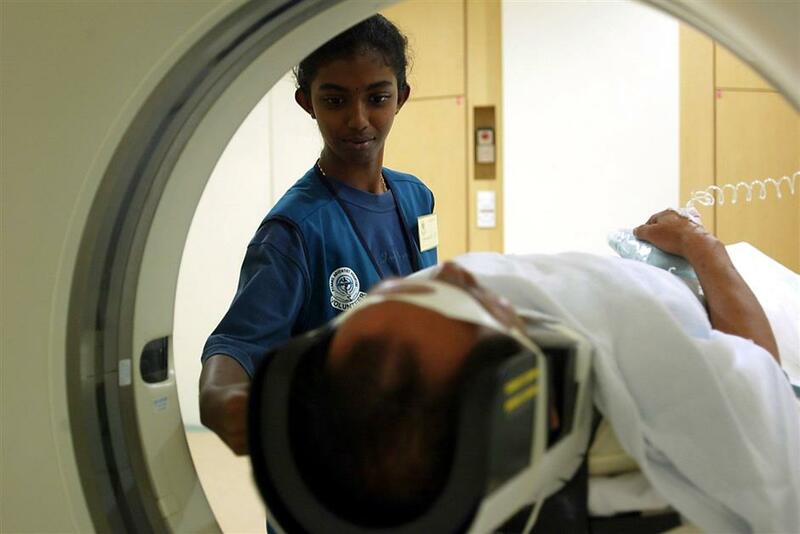 MHTC, which is under the Health Ministry, is tasked with raising Malaysia’s profile as a top destina­tion for world-class healthcare services. It also facilitates the pairing of accommodation and medical services as healthcare travel packages offered to travellers. So, what role do hoteliers play in the country’s booming medical tourism scene? MHTC says hotels should offer healthcare travellers an environment which is post-treatment friendly and have the right infrastructure in place to support the needs of these patients. This includes having wheelchair-friendly access, spacious rooms and toilet facilities not just in the room where patients stay, but also in the premise of the entire hotel, and tailor-made dietary plans. Hotels that offer health travel packages tend to partner with the hospitals directly, and are not required to register with MHTC or the Health Ministry. However, MHTC says it is willing to provide assistance. “We aim to facilitate and promote healthcare travel and are ready to show our continuous support towards this industry,” it says. The Malaysian healthcare travel industry is growing at an average rate of 16% to 17% every year, according to MHTC. Last year, Malaysia received 1,050,000 medical tourists, a 7.2% increase from 2016’s numbers (921,000). Half of these visitors come from Indonesia, while the rest are from China, India, Vietnam, Myanmar, Bangladesh and the Middle East. Top medical fields in demand here are cardiology, fertility, orthopaedics, oncology, neurology, gastroenterology, dental and aesthetics (cosmetic surgery). In 2016, the country’s healthcare travel industry recorded a 23% growth from 2015, generating RM1.12bil in hospital revenues and contributing between RM3bil and RM4bil to the country’s gross domestic product. The calculation also takes into account out-of-hospital spending such as transportation, tourism activities and of course, accommodation. Sheraton Imperial Kuala Lumpur managing director Frank Beck says medical tourism is still a relatively untapped market among hoteliers here. However, he believes hotels in Malaysia can provide a competitive edge on a global scale. “Malaysia offers various choices of high quality hotels and medical centres, which are at par with international standards, yet we provide affordable and value for money services and treatments respectively,” Beck offers. “Besides, Malaysians are known for their warm and friendly hospitality. Most locals are able to converse in English, which eliminates most communication barriers,” he adds. Beck says a hotel’s primary role would be to facilitate and complement the overall experience of any healthcare travellers and their companions. This is why staff training is important in accommodating to the needs and requirements of medical tourists. “The concierge team in parti­cular must be attentive and observant towards these guests with special needs as they require more attention. Their attentiveness is important as they are also the first point of contact from the very moment the guest arrives at the hotel,” he says. Service aside, hotels should also consider an ergonomic architectural design. Beck says elevators with strategically lower buttons for mobility-restricted guests, and availability of ramps and entrances with wide doors would cater to the needs of medical tourists. Elevators with strategically lower buttons will allow mobility-restricted medical tourists better access at their hotels. 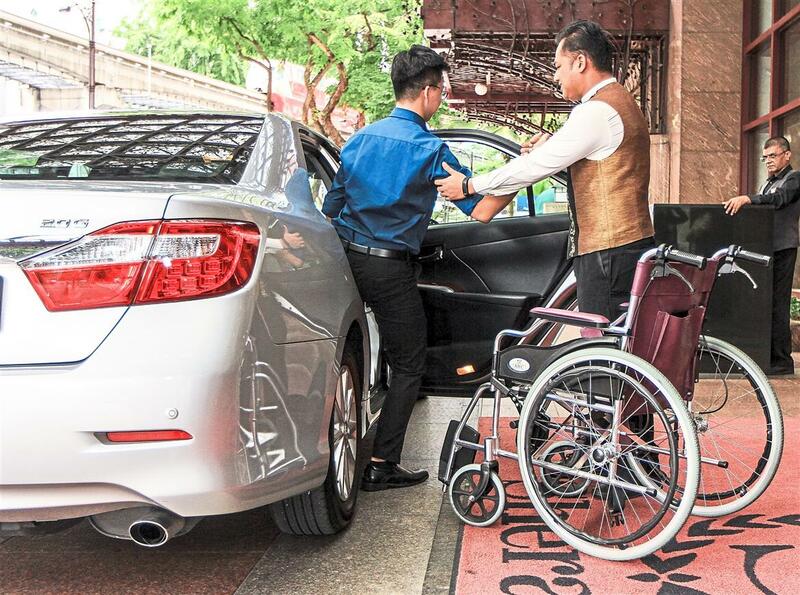 Prince Court Medical Centre (PCMC), which partners with Sheraton Imperial KL to provide accommodation for its patients, says hotels are vital to healthcare travellers. “Medical tourists would not have to worry about their accommodation and ground transfer while seeking treatment,” the hospital says. Effective communication between hotels and hospitals is also necessary as medical tourism involves two different industries that service the same clients, says PCMC. Sheraton Imperial KL recently became the first hotel in Malaysia to receive the Medi-Secure-Safe certification by medical tourism platform Ticadoc. The certification is the result of an audit process that confirms a minimum level of quality, accreditation, preparedness and response capabilities for providers that come into contact with healthcare travellers. Being able to deliver a broad range of tailored services and support for healthcare travellers should be the priority of hotels that offer health travel packages. The support generally required by medical tourists include concierge services, check-in assistance, dietary consideration, in-room support, wellness offering and easy access to medical providers. Ticadoc executive chairman Richard Stevens says medical tourists will spend a significant period of time in their recovery phase. This translates to them checking out of hospital and checking in to hotels, prior to being cleared to fly home safely. “You want to ensure that each service line of that facility is designed to support, service and assist medical travellers to a level they are comfortable with. “They are not normal guests, so they shouldn’t be treated as one. Medical travellers are normally a long way from home and they need to feel supported. Hotels should cater specifically to them,” he offers. What are some important criteria for hotels to be fit for healthcare tourists? “Being disabled-friendly and carrying a whole host of wellness services and offerings top the list. Medical travellers may move slower than the normal guest due to treatments and will appreciate a bit more room in facilities. “As they recuperate, they seek more wellness offerings to assist them and get that ‘feel good’ factor maximised. They are normally in the hotel all day for a few days minimum, so they look to be pampered by accessing the full range of services,” Stevens answers. With many medical travellers now funded via insurance, it’s also important for hotels to work together with insurers funding the journey. According to Stevens, medical tourism in Malaysia is a win-win situation for both travellers and hoteliers. Affluent medical tourists from the Middle East for example, seek treatment here due to the competitive rates after currency conversion. Hotels meanwhile have much profit to reap from catering to this exclusive market. “Medical tourists are highly valued as a commodity. A medical traveller can return up to 130% more than a standard guest to the hotel. Additionally, 80% of medical travellers will bring a companion, providing additional sources of revenue,” he says. Data from MHTC shows that Kuala Lumpur and Penang have traditionally been the go-to destinations for healthcare. Other popular states are Melaka, Johor and Sarawak. Penang for one, captured approximately 60% of the total market share, in terms of patient numbers, in 2016. More recently, MHTC signed an agreement with AirAsia Indonesia to jointly promote Penang as a top healthcare tourism destination. MHTC will arrange medical tourism trips including doctor and hospital appointments, as well as airport pick-up services, for those flying AirAsia from Indonesia to Penang for healthcare. Malaysian Association of Hotels Penang chairman Khoo Boo Lim says hotels in the state continue to work closely with the hospitals as an accommodation provider. But the medical tourism market can be a challenging one for hoteliers to tackle. Medical tourism is a multi-million ringgit industry in Penang. In recent years, some hotels in Penang have discontinued their health packages due to escalating expenses and volatile revenue. Khoo says hotels would need to be innovative in their services besides offering competitive rates for those seeking mid or long term treatments. “If you want to really tap into this medical market then the hotels definitely need to look into investing in those kinds of medical facilities and services. I’m sure the equipment does not come cheap. Hotels would need to work on the ROI and see if it’s worth doing so,” he offers. 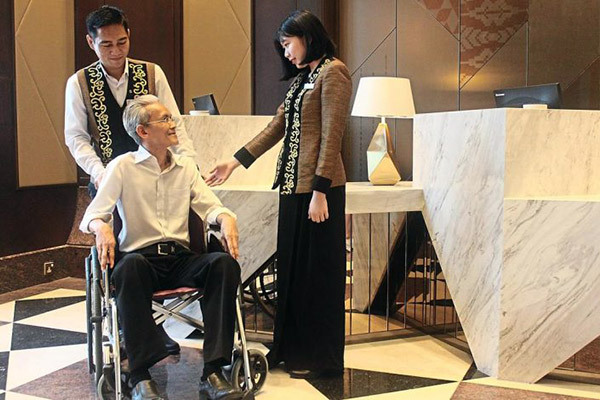 Khoo adds that hotels will always do their best and collabo­rate with hospitals. But some governmental assistance is also necessary to flourish the market. “We only seek the government’s assistance in curbing down illegal accommodation providers that jeopardise our business by undercutting our rates and providing low service standards besides compromising safety and security of these visiting patients and guests,” he says. Hotels aside, Khoo says the success of medical tourism primarily depends on the hospitals. “They will have to keep their equipment and facilities up to date, provide the best doctors and nurses around, and offer good competitive rates on their services and medicines. “If the patients still keep coming, then the hotels will benefit from it too,” he says.